after my windows 8 crashed I lost all my drivers. Now Im just trying to recover my dell inspiron 3520 integrated camera. I followed the correct steps to turn it on, and it is working, but I cannot find the program that came with it for the recording of video. So my next step was to try and download the Dell webcam center program and install it. I have done that but the program is complaining ,"No supported webcam driver detected", even though the driver is installed, and the camera is displaying anything infront of it. Check if the Webcam is detected in Device Manager. Open device manager, expand the tab for Imaging Devices and check if the webcam is detected. Run the Dell PC Diagnostics for Webcam. This would check the functionality of the webcam. The system comes installed with the Dell Webcam Central software suite. Uninstalling and re-installing of the software can be tried. 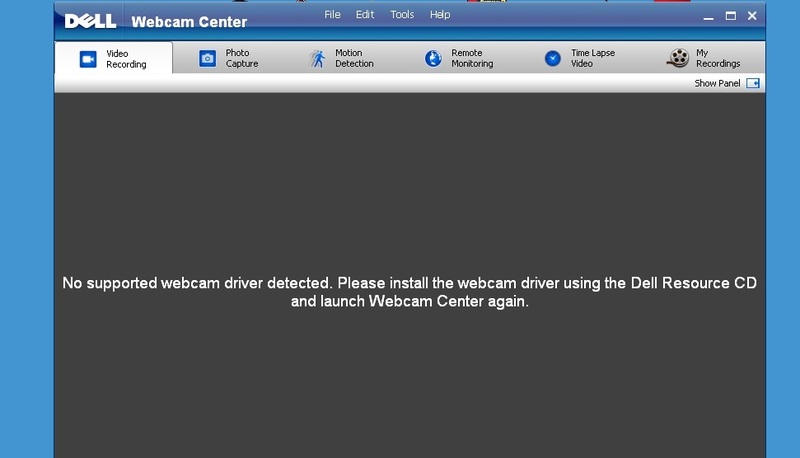 Please follow the article to Uninstall and Re-install the Webcam Central Software. For more details, see Troubleshooting Webcam Issues. Please try the steps and write back with results, would be glad to assist further.